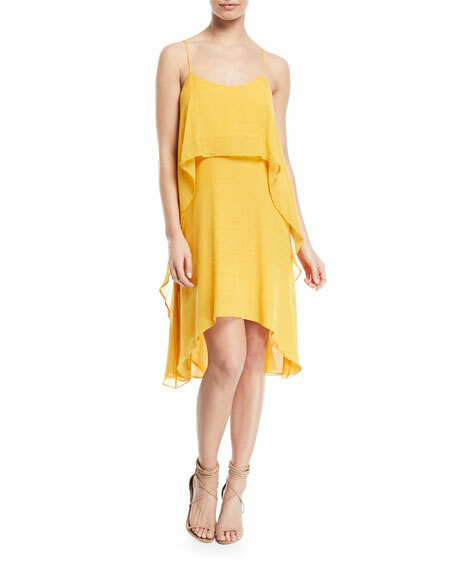 Halston Heritage flowy layered-flounce dress. For in-store inquiries, use sku #2438621. 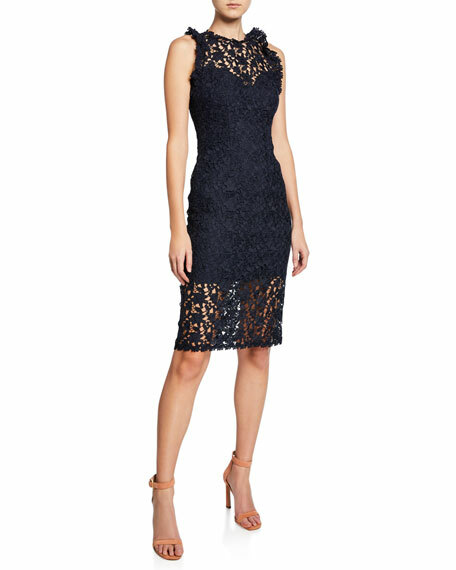 Halston Heritage mini dress with dramatic skirt. Approx. 24.5"L down center back. Deep V neckline and back. Sleeveless; thin straps. Fitted princess seams. Body-conscious silhouette. Dramatic flounce skirt. Hidden back zip. Mini length. Cotton/silk. Polyester lining. Dry clean. Imported.